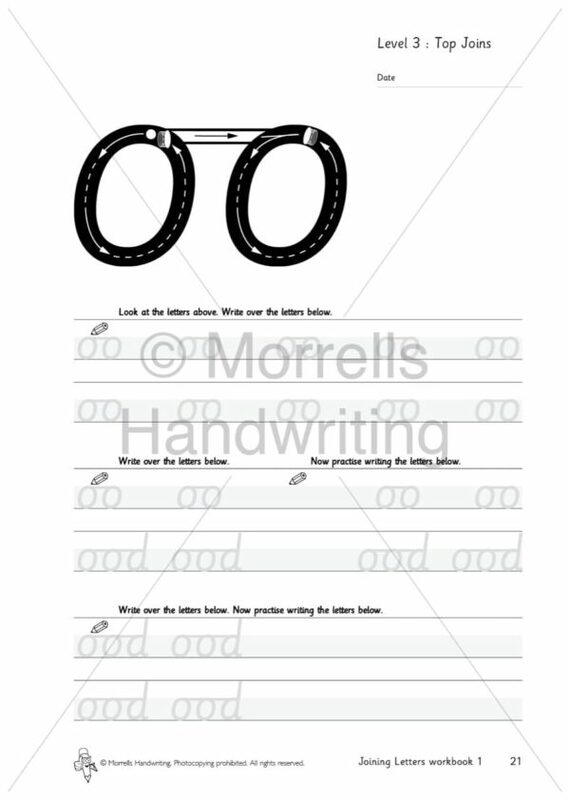 Learning the basics of cursive handwriting is easy with the invaluable and innovative Morrells bounce symbol and directional arrows that show the correct diagonal and the horizontal joins used to master cursive handwriting. 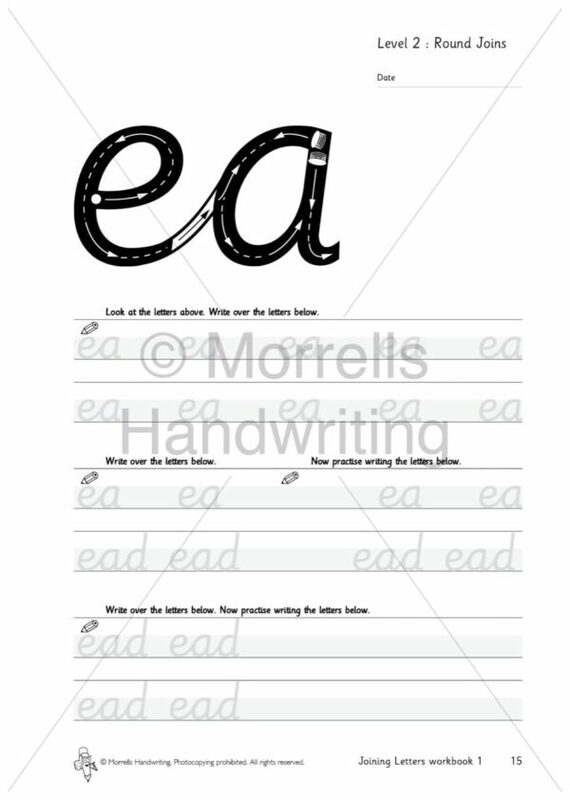 Structured exercises guide the writer through the baseline joins before moving on to the more difficult round and top joins. 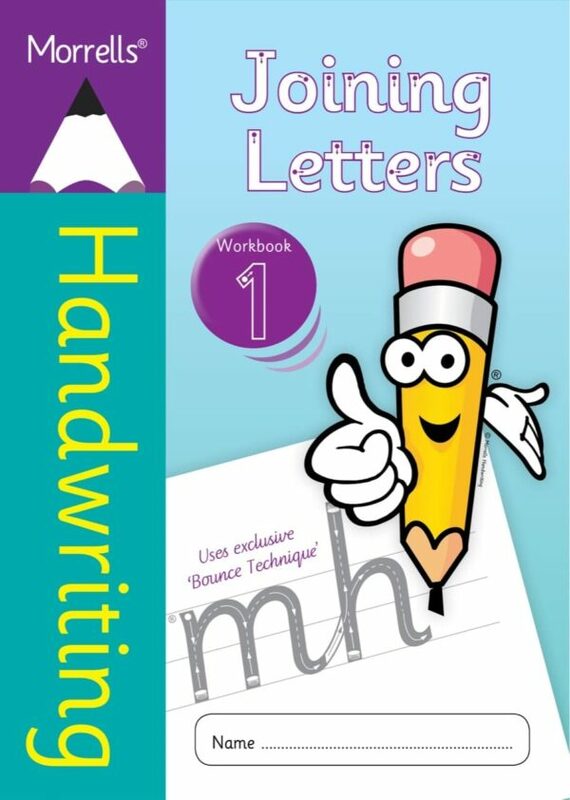 There is ample space to practise, helping the writer to quickly develop a fluent writing style and a positive joined-up handwriting habit from the beginning. 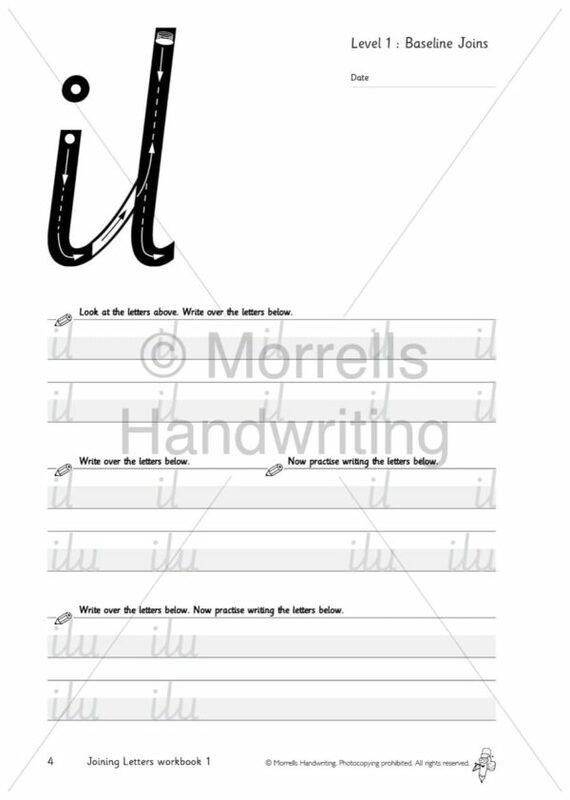 Part of the Joining Letters series.